Friday The 13th: The Game has been out for almost a year now, and a new content update is just on the horizon. 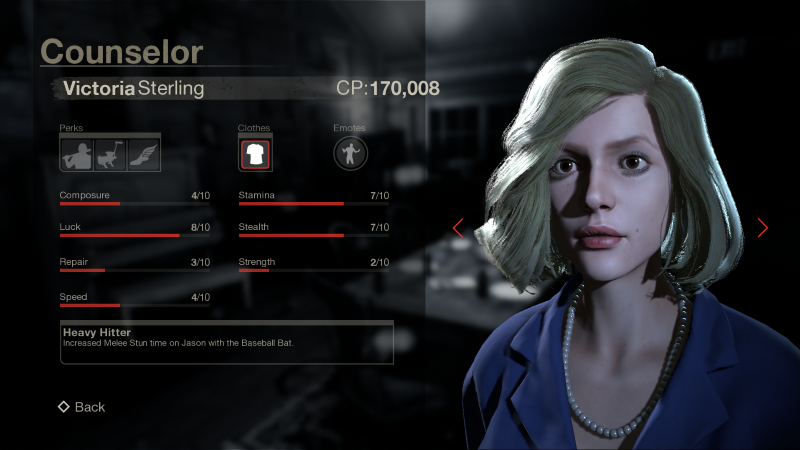 A new counselor will be part of this week’s update, and her name is Victoria Sterling. Victoria will be a free addition to the new update, she’s also a level 42 unlock. Victoria is also supposed to be a bit of a mean girl, so let’s see what kind of things she’ll say when pursued by Jason.